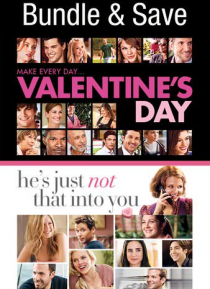 Fall in love with these two romantic comedies: VALENTINE'S DAY and HE'S JUST NOT THAT INTO YOU. An all-star ensemble cast comes together in "Valentine's Day," which follows the intertwining storylines of a diverse group of Los Angelenos as they navigate their way through romance. He's Just Not That Into You sparkles with zingy aha moments any survivor of the dating wars will recognize.